Michigan has had a number of nicknames: The Water Wonderland, The Great Lakes State, The Wolverine State, The Mitten State; and now it appears we may get another: The Pure Michigan Trails State. The sponsors are: Sens. John Moolenaar, R-Midland, Arlan Meekhoff, R-Olive Twp., Dave Hildenbrand, R-Lowell, Geoffrey Hansen, R-Hart, and Tom Casperson, R-Escanaba. Their bills, SB 873-877, are tie-barred and have been sent to various committees. What the package does is establish the Pure Michigan Trail Network by establishing designations for Pure Michigan Trail Towns, Pure Michigan Trails, and Pure Michigan Water Trails. Those designations would be made by the Michigan DNR director upon recommendation of the Natural Resources Commission. Designated trails and towns would be eligible for funding from the Pure Michigan Trail Fund, the new name for the Michigan Trailways Fund. It was established to receive revenues from a variety of uses along the trails, from billboards and easements to concessions, which never really amounted to much money. The bill sponsors are looking to celebrate Michigan’s prospective status as the top trail state in the nation. “I represent districts in northern Michigan where recreational use of trails is of tremendous importance,” said Sen. John Moolenaar. 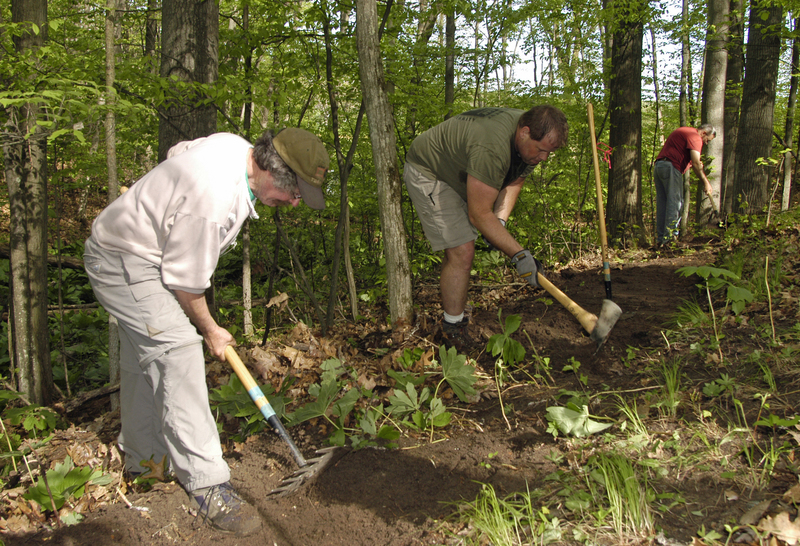 “We wanted to celebrate the trails we have and resurrect the Trailways program. There is growing emphasis on developing a true, statewide integrated trails network. The legislative push follows up on recommendations made in 2013 by the state’s Snowmobile and Trails Advisory Council, which worked with the DNR to develop the latest state trail plan. That was the group formed by Gov. Jennifer Granholm, who began the statewide conversation about interconnected trails and communities. “The Michigan Trailways Act is so outdated, and we have come so far since that time, we really needed to do something to elevate all trails in Michigan,” said Nancy Krupiarz, the executive director for the Michigan Trails and Greenways Alliance, a Lansing-based non-profit organization. “That’s what this does for equestrian trails, water trails, multi-use trails, ORVs and snowmobiles. If you’ve not heard of the Michigan Trailways Act, you’re not alone. That 1994 legislation called for the designation of certain trails as “Michigan Trailways,” a special cachet reserved for top-quality trails which would be eligible for funding from the Michigan Trailways Fund, now to be renamed the Pure Michigan Trails Fund. Non-profit friends groups and others will be able to apply for grants from the fund. What may come of all this, of course, remains to be seen. Pure Michigan is a catchy slogan and brand, but to make it work will require significant funding. And that means a commitment by the state to find those funds. Otherwise it will amount little more than a momentary marketing splash. Bob Wilson, a policy advisor for the Senate Majority Policy Office, says some money will be available the first year – likely $100,000 to $200,000 – a one-time appropriation that will require finding a “dedicated funding source to continue.” Gov. Snyder has also proposed a $2.5 million appropriation for his border to border showcase trail – which would become a Pure Michigan Trail. One exciting development called for is the creation of an electronic database of all trails that could be accessed with mobile applications, thus expanding and modernizing a very limited set of state resources. It is a bright idea that is right for the time. But amid the hype and gloss of this recent legislative move is an important core element that should never be forgotten. 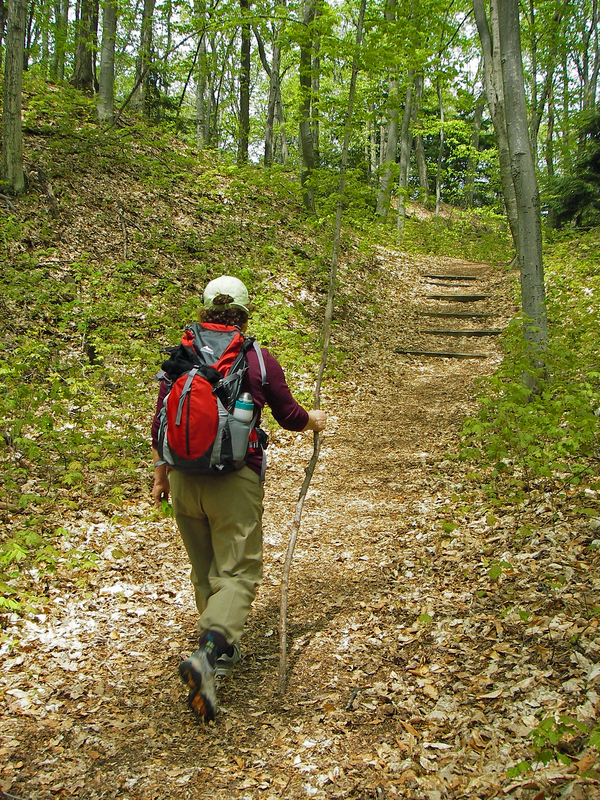 The history of Michigan’s trails success goes back more than 20 years. The early chapters that allow this one to be written were scribed on the Michigan landscape by staff at the Michigan DNR and thousands of grassroots volunteers. Those are regular people like you and me who got excited, who took it upon themselves to do the work, find the money, convince their neighbors and push the DNR further when needed. Those folks are the true shining stars of the future Pure Michigan Trail State. And to all I say: Thank you. This entry was posted in Uncategorized and tagged Adventure Travel, Backpacking, Biking, Cycling, Environment, Hiking, Michigan Department of Natural Resources, Nature, ORVs, Paddling, Pure Michigan, Snowmobiles, Trails. Bookmark the permalink.